In recent years, many Smithsonian scholars have embraced OA journals as a place to publish their work. The Smithsonian Research Online (SRO) database shows over 800 articles written by Smithsonian scholars which were issued in OA journals and which are therefore available to the public. However the Smithsonian Digital Repository (part of the SRO program) has archived only 250 of those papers. We will now begin to think about how to capture the 500+ or so which we lack. But while distributing and reproducing text is nearly free thanks to the Internet, that doesn’t mean that publishing is without cost. Converting a manuscript into a research publication requires professional editorial staff to manage a wide range of activities that are transparent to the reader. Consequently an alternative scenario to traditional subscription-based publishing has emerged in recent years. Widely known as the “Author Pays Model” of funding, the journal publisher receives an article processing charge (APC) to manage the manuscript submission, review, typesetting, design, etc. This processing charge is intended to replace the publisher’s subscription revenue so that editorial expenses can be covered yet the paper can be made freely available to all readers. The “customer” in this new business model is the author rather than the reader. The service being provided is the editorial review and management of articles to meet authors’ needs to publish their work. And although the client is the writer and not the reader, the phrase “Author Pays” may not be entirely accurate since it is often the scholar’s institution or research sponsoring organization that pays this fee. Many foundations which sponsor research are beginning to require awardees to publish the results of their research grant in an open access journal and to include the APC in the requested funding amount. There have been some objections raised to this new model of publishing. Among them is the creation of a vanity press situation or the possibility of hyper-inflation among APCs, as was the case with journal subscriptions over the last few decades. Despite this, an increasing number of publishers have launched OA journals based on this model including the commercial publishers John Wiley, Springer and the prestigious Nature Publishing Group. Some OA publishers are beginning to offer institutional memberships so that APCs are discounted for authors at a particular institution. While the author-pays model is becoming mainstream (the OA journal, PLOS One published over 23,000 papers in 2012) these memberships are still somewhat new for institutions to manage. The cost-effectiveness of memberships should be weighed against the fact that payment of APCs can often be borne by one of a number of people. For example the foundation sponsoring the research may pay the APC or a co-author from a different institution may pay it. 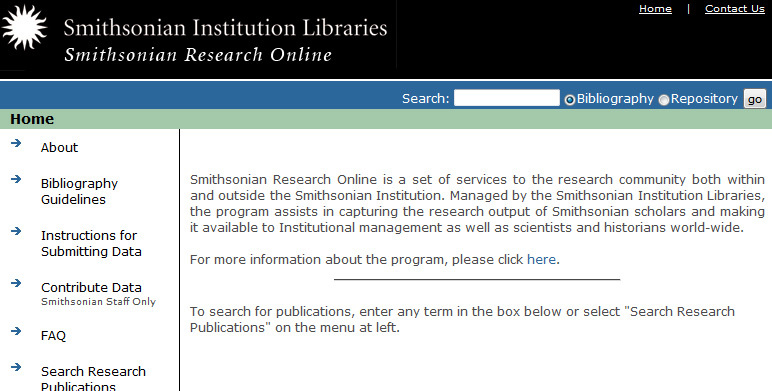 The Smithsonian Research Online program is following these and related developments in hopes of advising Smithsonian scholars on issues related to publishing options and the revolution in the scholarly communications arena. Great article, it contains a lot of usefull information. It says a lot of Open Access and who they are. I would recommend this to anyone who is interested in OA. Thanks Alvin!